Amber Lamont is your normal sixteen-year-old…until she gets attacked by two angry costumers, at the local fast food place she works at. After this curious incident things start to escalate. Amber always thought her parents were weird but she never went as far as to even entertain the notion that they weren’t fully human. They were her parents, of course he’d find them weird. Yet as much as Amber struggles to believe it, her very own parents, are monsters (yes I just said they are monsters and no I am not kidding, or using ‘monster’ as a metaphorical term, or basing this solely on their actions and not on their physical make-up and no I am not referring to them as addicts to the drink). Amber stumbled upon this when the police came to investigate the attack on Amber, in the fast food ‘place’. That’s when things got messy, literally. Her biological Mother and Father got impatient and literally ripped the police officer’s guts out, right in front of her. That’s when Amber realised, that Her own parents were real life monsters. So what does that make her? She investigates into this a little more and finds a dark, heart stopping truth. Because of this truth of a sort, Amber must under-take a journey she may never return from. 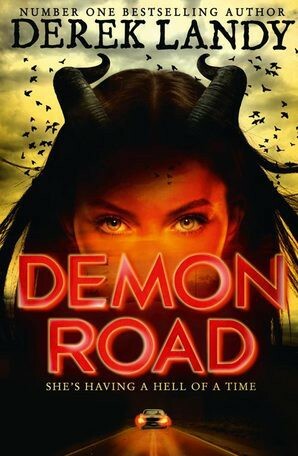 A journey she may never return from…A journey on The Demon Road. Next Next post: Murder On The Orient Express.